Boyce Harries’s family has been growing coffee in Kenya since 1904. Oreti Estate is one of two coffee farms owned by the Harries family, situated on Thika Plateau in Kenya’s central highlands. The land for Oreti Estate was purchased in 1946 by Boyce’s grandfather after he returned from World War II. Boyce is the estate caretaker and oversees all aspects of coffee production. Oreti is located at 1500-1575 meters above sea level, and our coffee is an estate blend of the SL28 & SL34 varieties. 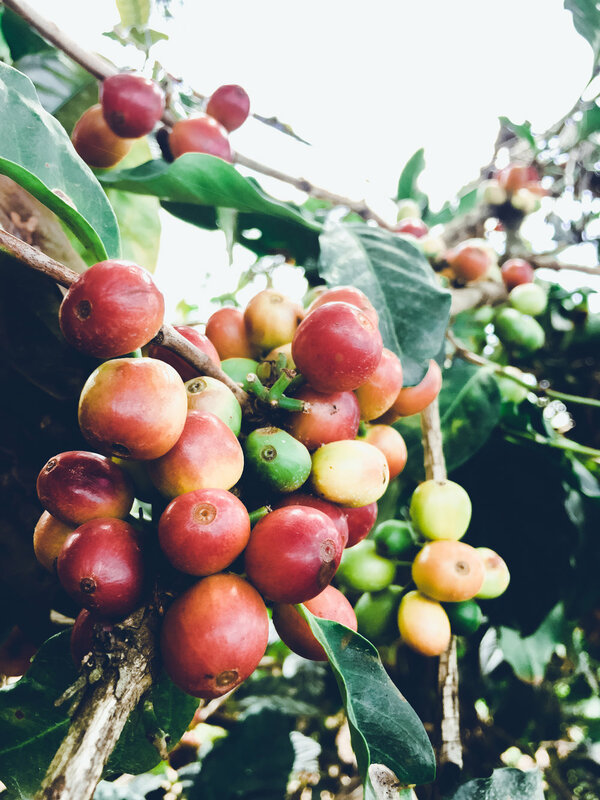 Typical of Kenyan coffee farming, Oreti has a main harvest, which is generally October-December, and a “fly crop,” a smaller harvest which runs May-July. Their main processing method for coffee is the washed process, and they also produce and experiment with some natural and honey processing. Nossa Familia Coffee’s Director of Coffee, Rob Hoos, visited Oreti Estate in late 2016. He was not only impressed by the quality of the coffee, but also by the deep sense of care for the people who live and work on the farm. There are approximately 40 permanent staff - a multigenerational team - and many of them have worked and lived with three generations of their counterparts in the Harries family. Other seasonal workers, including pickers and processing mill workers, often return year after year. Workers’ homes on the farm have clean water and electricity, and they have access to additional facilities such as a social hall, nursery and school. Workers receive health insurance and social security funds, and the farm provides transportation to medical facilities as needed. A workers’ committee gives them a form of representation to express concerns on welfare, safety, and health matters. The Harries family is also active in the local community. They have donated over 50 acres of land to the Thika Municipal Council and co-founded the Wabeni Technical Institute, which seeks to teach underprivileged children practical skills such as dressmaking, mechanics, and carpentry. They have recently started to donate sports equipment to local schools as part of "Support Sport Africa." They have also helped to build facilities for the Police in order to improve security and infrastructure in the area.